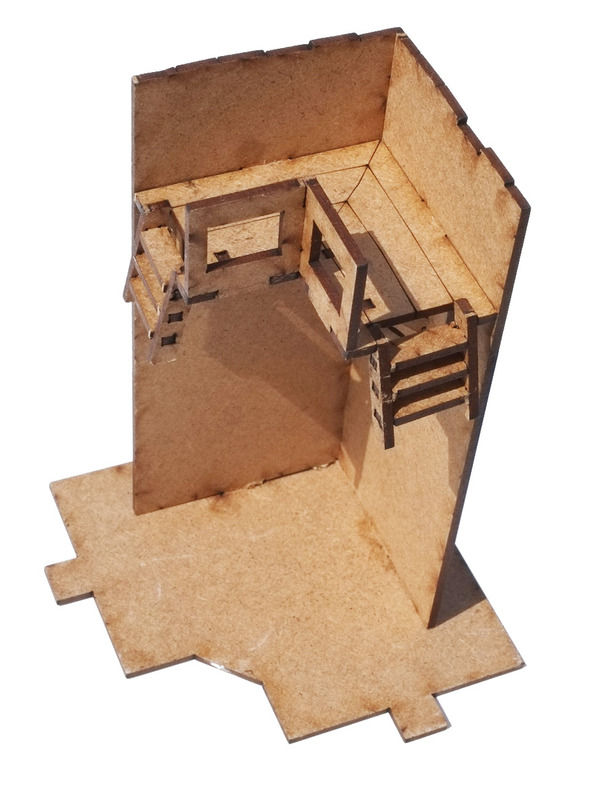 The 2mm MDF laser cut kit is a companion to our Roam Wall Section and Roman Gatehouse kits and is used to create a corner return for a fort layout. The corner section is raised with small step access to a raised platform. The price is for a pair of corners. Each corner section is 50mm x 50mm x 125mm high.